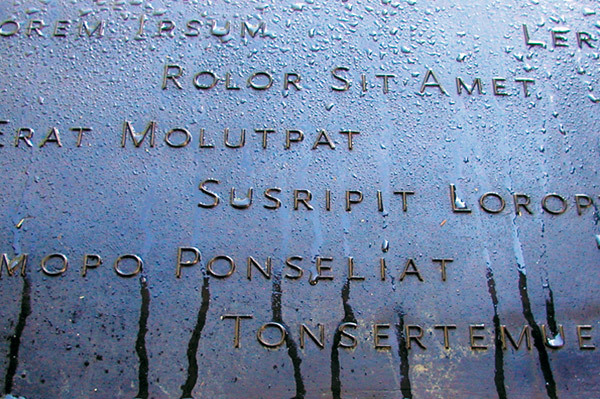 C&G Partners is deeply honored to serve the 9/11 Memorial and project team, continuing to help plan wayfinding and signage for the plaza, visitor pavilion and museum. 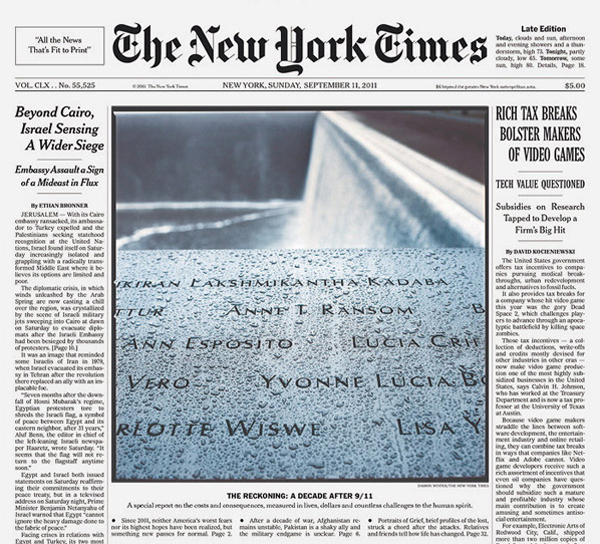 We were moved by the front page of the New York Times on September 11 this year, featuring the latest design for the names commemoration at the memorial, designed by Michael Arad with contributions from Local Projects and data artist Jer Thorp . The image below is from our project archives: a snapshot of an early prototype that C&G Partners created for the design of the names. Over time, the design has evolved and is now an extraordinary experience. We are honored to have been among those able to help shape this powerful design for generations to come.